Hostombe Properties are two privately owned beachfront apartments located on the west coast of Barbados. you're looking for a secluded apartment for that romantic getaway on your honeymoon. 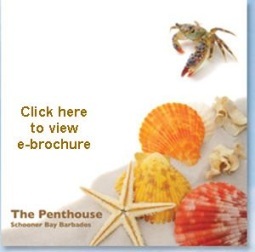 Our apartments are located on the platinum coast of Barbados. Hostombe properties are superb penthouse apartments, beautifully furnished and within metres of the beach. 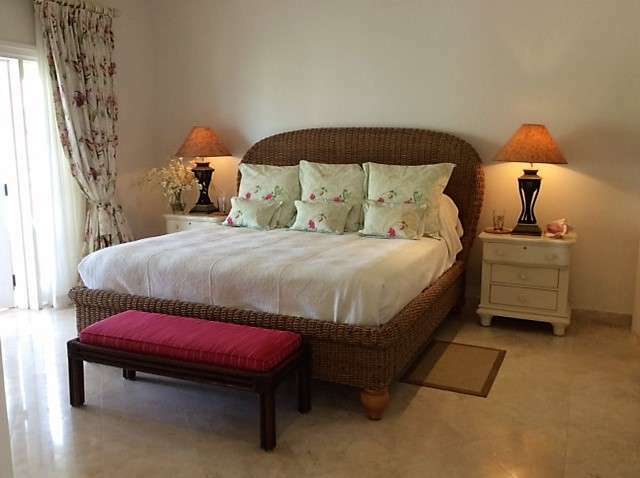 The accommodation combines comfort and exclusivity with the option of eating at home or visiting the many varied restaurants for which Barbados is famous. Part of a beachfront, privately owned, gated community, “The Penthouse” is situated on the top floor, accessible by lift or stairs. 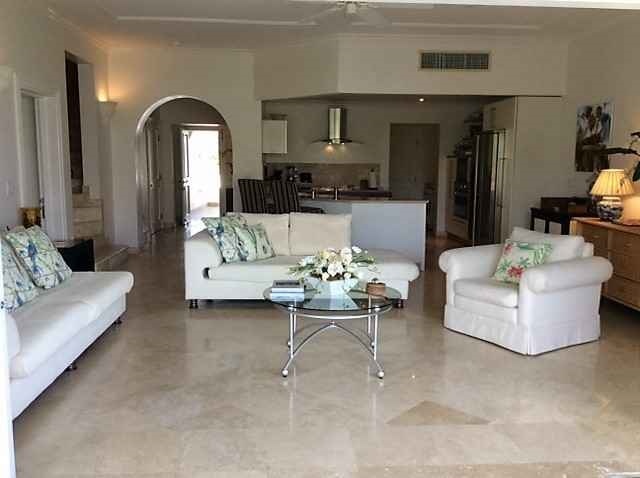 Split over two levels, the accommodation offers two spacious double bedrooms and a twin bedroom each with en suite spacious marble bathrooms, large living room, kitchen, powder room, spa pool and barbecue, and large terraces with panoramic views. The floor to ceiling windows of the spacious living area slide fully open onto the dining terrace, with wonderful views over the pool and gardens and, to the left, the beach and sea. The terrace extends along the front of the property with a further seating area and french windows leading into the ‘Sunrise’ bedroom. 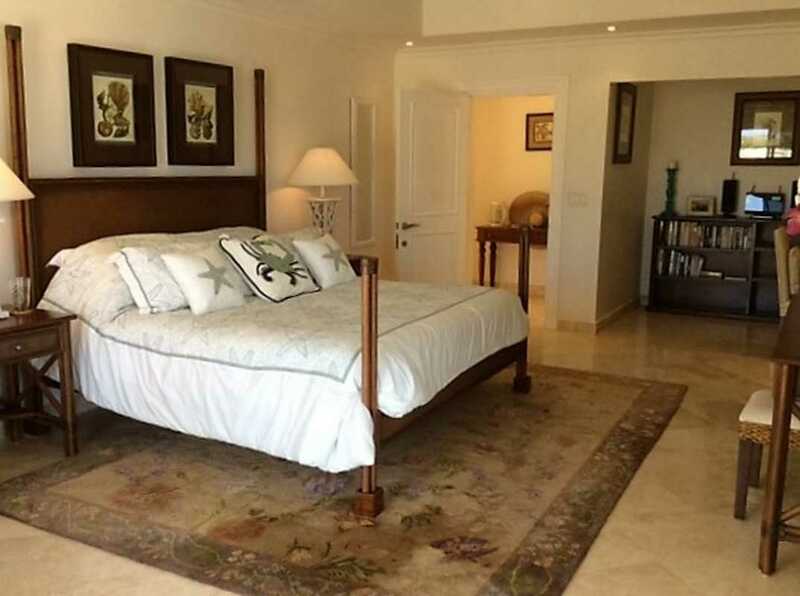 This room boasts an emporer sized sea grass bed, a large walk in wardrobe and a marble bathroom with jacuzzi bath, twin washbasins and marble shower unit. The comfortable living room has digital television, DVD player and music system. To the rear is a fully equipped open plan kitchen and laundry. Also on the first floor is the powder room, and the ‘Monkey’ bedroom. Named after the monkey curtain fabric this twin bedroom has sea views down the coast to the south west, beautiful single beds, a marble bathroom with single washbasin and bath with shower, and a walk in wardrobe. A staircase leads to the penthouse roof terrace with barbecue and spa pool, and to the Master bedroom. The large Master bedroom has a study area with wireless internet connection, an emporer sized bed, oversized armchair and dressing table. Sliding french windows to the west and north west lead onto the wrap-around terrace. The lovely marble bathroom boasts a large corner shower unit, a jacuzzi bath and twin washbasins. Also a large walk in dressing area. Even the bathroom has a sea view! The upper terrace offers 270⁰ views, sweeping round from the seashore to the west, over the pool and gardens of Schooner Bay, beyond the church tower in Speightstown to the north and across the lush hills to the east and south east of the island. This is the place to sit in the early morning with a tall glass of mango juice whilst watching the morning sun rising over the palm trees – or enjoying the spectacular views over breakfast. As the sun heats up, the terrace becomes an excellent sunbathing spot and, after a lazy day spent swimming in the bay and strolling along the beach – or a day filled with sporting activities – what could be better than a gentle massage in the spa pool, a rum punch and a barbecue on the roof terrace! All rooms have been lovingly furnished, creating an elegant but homely atmosphere. Travertine marble floors throughout. Air conditioning and fans in every room. Children are very welcome in our Penthouse apartment, we have a cot and high chair available for hire. Bed rails are also available for one of the twin beds if required. The apartment is set away from the road, in landscaped gardens, which are delightful at night when floodlit. Enjoy the large free form fresh-water pool and Jacuzzi, or wander to the beach which is accessible through a gate directly from the pool area. There is a fully equipped gym on site and small library. Sun loungers and parasols are available around the pool area and also on the beach, all beach towels are provided. Rose, your maid, will attend 3 mornings a week, she will change your bed linen and carry out any other laundry and housekeeping duties that are required. A cook can also be arranged on request at additional cost.